After a slow admin morning we went for what I thought was going to be a short, easy cycle ride. We went down Bluff Hill, into Napier then up Bluff Hill and back down the other side, then around Bluff Hill again and had just started on another loop going into Napier when Noel’s tyre went BANG. The 1000 in 1 cycle multi-tool he was carrying of course didn’t have the 1001th tool which would have undone the back wheel axle but luckily we were stopped right beside a garage so a borrowed adjustable spanner did the trick. We started to walk back but as luck would have it a cyclist who had seen us change the first tube and happened to be cycling past when the second one burst, cycled back to us and told us of a bike shop just around the corner. So a short while later, with a new back tyre and inner tube (plus spare) we were on our way again. Cunning plan wasn’t working – how many pins do I have to drop to get out of a hilly cycle ride?! So, we went through Napier again and up Bluff Hill yet again then partly down due to incorrect data from the NPS (Noel Positioning System) and then back up the rest of the way to our flat, total 8.5 miles / 13.7 km. All I can say is it must be doing us good for the Timber Trail! 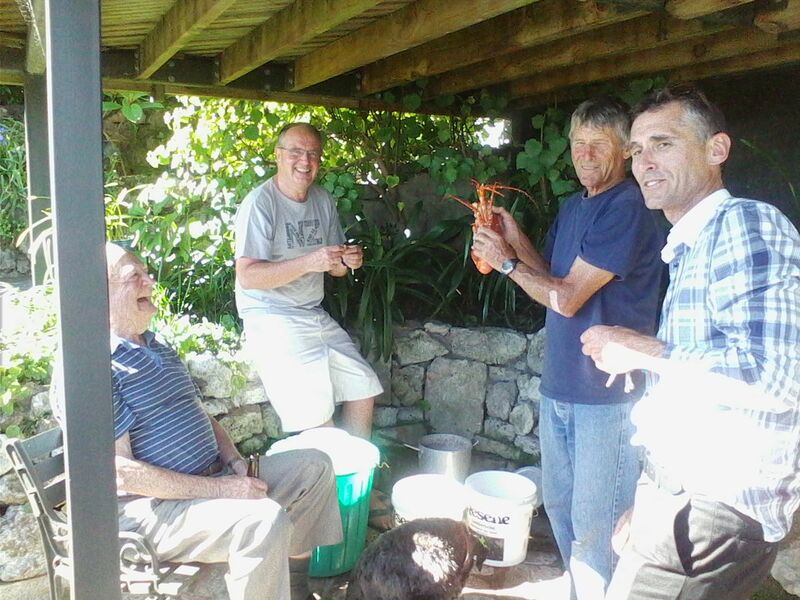 An hour later we got a call from Noel’s Dad that Peter (Noel’s cousin, 3 doors down from us) had a crayfish for him so we all met up and had a very pleasant drink there while eating crayfish legs. Picture quality isn’t great as it was taken on a cheap phone but it was fun! L-R: Max, Noel, Peter, Mark (Peter’s son). 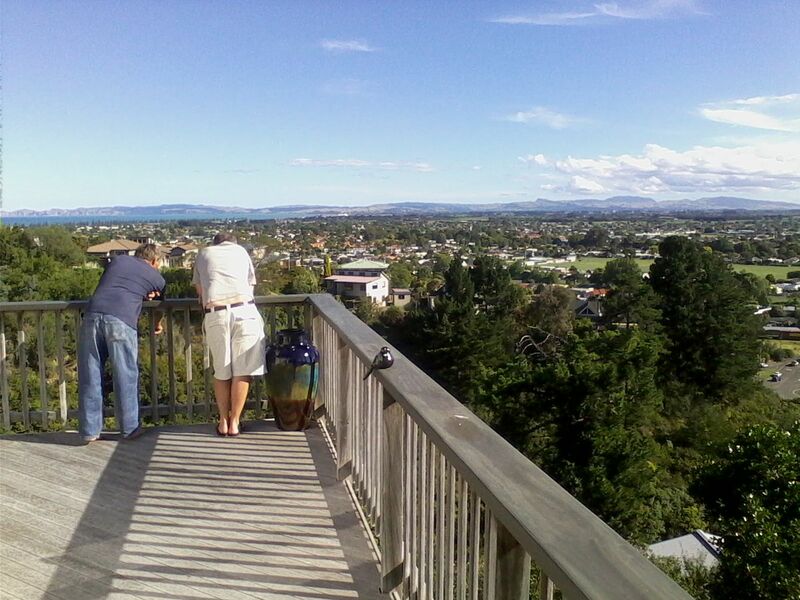 The view of the coast almost to Cape Kidnappers from Peter and Yvonne’s deck. After leaving Peter and Yvonne we went to Max’s where we ate a delicious crayfish salad.